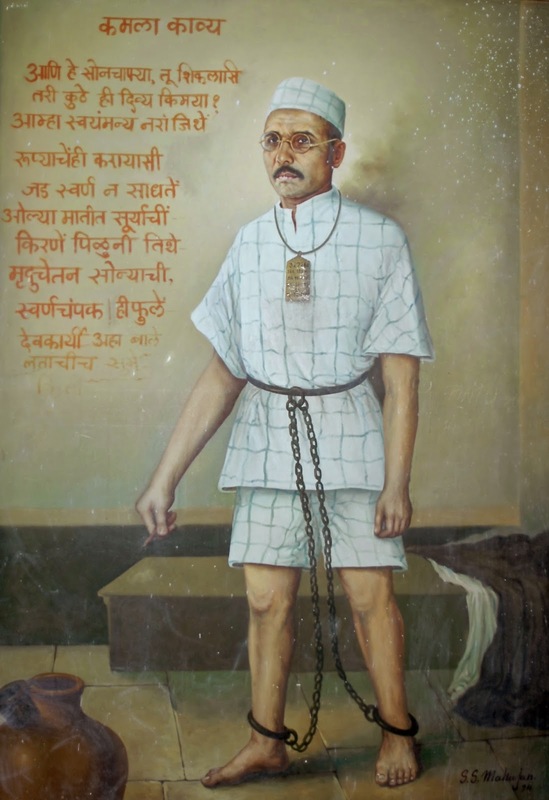 While in internment in Ratnagiri (coastal Western Maharashtra), Savarkar was barred from participating in political activities. He used this opportunity to bring about social reform in Hindu society. In those times, the so-called untouchables were barred from entering temples. Savarkar waged a bitter struggle for temple entry of ex-untouchables. In this, he also put his literary prowess to use. 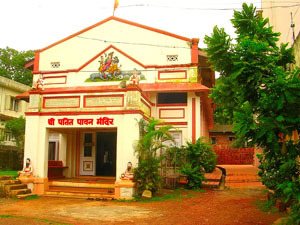 Savarkar was instrumental in founding the Patitpavan Mandir in Ratnagiri in 1931. 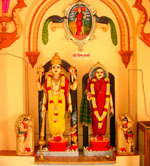 This was the first major temple in India after the Mughal rule to open its doors to all Hindus irrespective of their caste. This was a revolutionary step. To mark this occasion, Savarkar composed a Marathi poem ‘Malaa devaache darshan gheu dya’ (Allow me to see my God) that expressed the anguished cry of ex-untouchables who were being denied temple entry. The poem was sung by two boys of the Bhangi (Balmiki) caste. 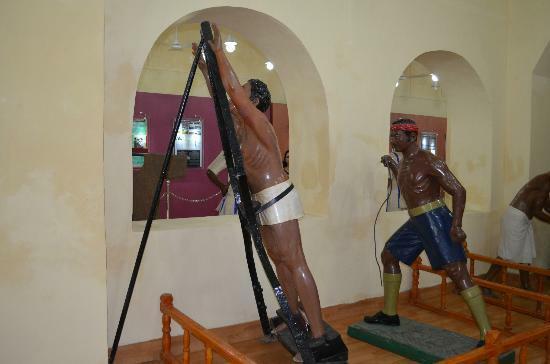 Members of this caste carried out scavenging work and were considered untouchables. Narayan Sadashiv alias Ulhas Bapat, Savarkar’s associate was an eye-witness when Savarkar composed this poem. In his reminiscences (Smritipushpe, self-published, Pune, 1979, p 63), Bapat remarks that Savarkar must have shed atleast a handful of tears when he composed this poem. Such was the intensity of feeling that Savarkar had for the plight of ex-untouchables. It may be noted that the very same Savarkar remained unmoved on being handed down a punishment of two Transportations for Life. Given below is an English translation of Savarkar’s poem ‘Amucha swadesh Hindusthan’ with the Marathi original. The translation has been done by Anurupa Cinar. हृदय त्या वाहु द्या ! Cleaning your filth night and day. I am the thirst only he can sate. O, let me fall at his feet, prostate. I am a Hindu, he my Hindu God. Bar not, beg I, my way to my God! This entry was posted in History, Nation, Seva and tagged Hindtuva, Patitpavan mandir, Ratnagiri, SC, ST, Temple entry, Untouchability, Veer Savarkar on May 28, 2014 by arisebharat. When one looks at history, one finds that all great social leaders have taken a keen interest in the past. It is how they have viewed the history that shaped their own actions. A good instance of that is Jawaharlal Nehru. His romantic view of Indian history, his parroting of the colonial history handed down by the British, his extension of the same with his own Marxist spicing and his one-dimensional linear view of a progress which essentially aped the USSR, shaped his politics. It distorted his perceptions of geo-political realities and to this day the nation pays a heavy price. Of course with his ornately worded, left-oriented romantic view of international politics, Nehru heaped for himself personal accolades, even as the nation heaped disasters at the frontiers and decades of riot refugees from East Pakistan. If we look at Dr.Ambedkar, we find a much better, scholarly original thinker. He questioned the Aryan race theory and foresaw its demise. He constructed his own view of the social history of the down-trodden masses of India that showed that they had a rightful claim to the glories of India’s past magnificence and thus an equally rightful share in the future of the nation. One should note here that Savarkar uses the term ‘scientific spirit’ and not nationalistic or patriotic spirit. What Savarkar the historian wanted was history as it happened and not eulogy. Only if the past is understood rationally and objectively then only can it be used for understanding the present and prepare us for the future. Otherwise one may live in the fool’s paradise. Savarkar chose 1907 to release his book which was the fiftieth anniversary of the great uprising. Consequently the book was banned by the British and became a must read for all Indian revolutionaries such as Madame Cama, Lala Har Dayal, Bhagat Singh, and Netaji Subhas Chandra Bose. Not an idle arm chair historian he is. And the work itself remained banned by the government for the next forty years. Savarkar the historian made Savarkar the pragmatist patriot to understand one bitter truth from the history of 1857. The Indians have been intentionally and systematically de-militarized by the colonial regime. Unless that condition was reversed another uprising is almost impossible. Perhaps the magnum opus as a historian is his ‘Six Glorious Epochs of Indian History’. Any history text book of India that a student studies today shows India as being repeatedly overrun by invading foreigners. This is only natural because such a historical narrative helped British to inculcate in the minds of Indians the idea that they are a society born to be slaves of another foreign power or culture. The success of this approach is that even today we perceive ourselves as slaves of the mind and culture in front of the West. On the other hand Savarkar concentrated on the various freedom struggles and peoples’ movements against the foreign invasions. He chronicled how Indian resistance to foreign invasions and imposition of foreign ways of life on Indian people happened. The six epochs present Indian history as a long epic narrative of Indians facing the onslaughts of the enemies, sometimes being overcome, but how they formed resistance and overthrew the enemies or assimilated them or made them subservient to Indic might. A question arises as to whether such a historiography would lead to furthering of the bitterness between Hindu and Muslim communities. Savarkar in his foreword to ‘Hindu Pad Padashahi’ answers this question both as a historian and as a humanistic nationalist. The book brings out in great detail how the Maratta navy defeated the European forces and how complacency brought the curtains on the last Hindu empire. “Ever since I was in Ratnagiri the District Hindusabha there along with some of my distinguished Bhandari friends in Konkan have been demanding entry into the Navy for the Konkan Hindus. Now that the Government has thrown open, under pressure of circumstances, the services in the navy to the Hindus we shall be only harming our own interests if we lose this long expected chance to revive the naval military spirit in our people in Konkan…. It is these Hindu communities like the Dhandaris, Kharvis and others who once rendered the Maratha Navy a terror over the Portuguese and the English and had inflicted several crushing defeats in naval engagements on them as for example when in a sea-fight the well-known English war-ship ‘Revenge” was captured by the Marathas. The children of Konkan, as it is said regarding the children of Britain, begin to play with the waves as soon as they begin to play with toys and have an inborn aptitude to make the best fighting material for the sea forces of our nation. Unfortunately these naval instincts were deliberately suppressed till today by the British Government…. 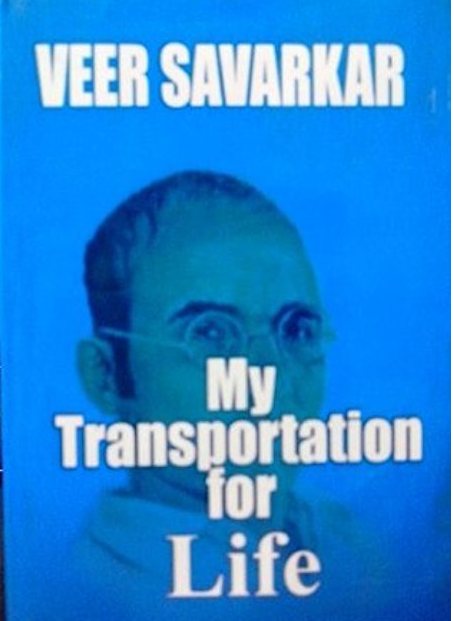 Here one sees how Savarkar the historian displays his ability to relate history of the past with the challenges the nation faces in the present and intuit and shape the future with all the pregnant possibilities and challenges. 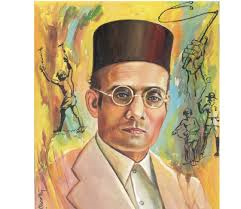 History is witness to the genius of a historian in Savarkar when during partition, thanks to his advice and efforts Indian army was dominated by Hindus and Sikhs. Had the impractical romantic pacifism prevailed and prevented Indian youths from joining the army in early 1940s, the whole of Kashmir, large chunks of Punjab, Bengal and Assam would have become part of Pakistan, not to speak of the humiliating ethnic cleansing that would have taken place in these provinces. This entry was posted in Hindutva, Nation and tagged Historian, Veer Savarkar on June 14, 2013 by skandaveera.